Motor driven auger rotary valve for applying exact dots, controlled beads or potting of most adhesives and liquids. Operates from a digital dispenser with fluid feed from pressure pot, cartridge or syringe. Positive displacement will not be affected by material viscosity change or room temperature. This dispensing method uses a rotary feed screw (auger) coupled with a precision DC motor to dispense paste like materials with a rotary displacement action. TS5004H-116 version with an encoder fitted to the DC motor. The encoder for this version is set at 0 Degree position. The unique design ensures material is constantly present at the feed screw inlet while the controlled rotation of the feed screw dispenses fluid from the feed point out to the dispense tip. Dot size of 0.010 Inch (0.25mm) in diameter can be achieved with high percentage of repeatability rate. Due to its versatility, high accuracy and ease of setup, the rotary auger valve is the preferred choice in the electronics industry. 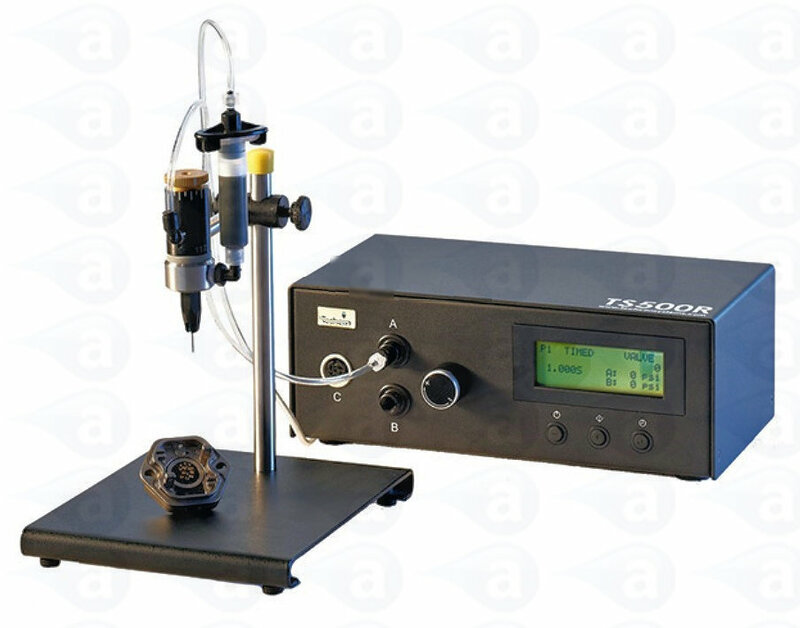 It can dispense virtually any paste that has viscosity of 30,000 cps or higher, including difficult materials to dispense such as particle filled solder pastes. In fact it is the only valve that can dispense solder paste consistently. Use our valve selection guide page. 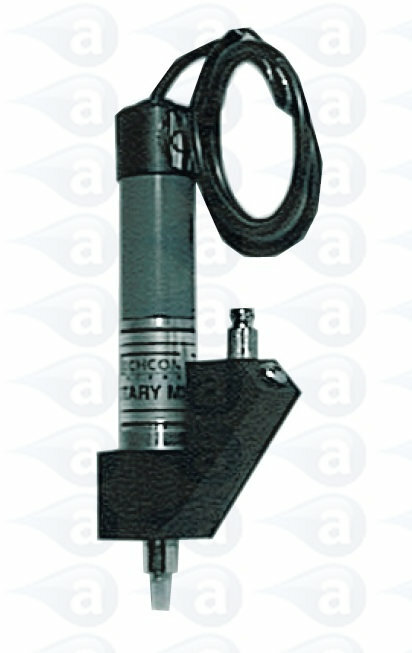 Precision valves will dispense accurate deposits direct from syringe barrels, cartridges or pressure pots. Valves operate with minimal maintenance, ensuring clean and accurate dispensing & can be fixed on a production line or onto an XYZ robot. Summary: TS5004H-116 with an encoder fitted to the DC motor. The encoder for this version is set at 0 Degree position. 6 Watt powerful motor. Heat treated tool steel 8 pitch screw. Precision deposits of solder paste, die attach, SMT adhesive, thermal compound, chip encapsulation and dam writing. This valve has a steel screw and not a replacement version. Variable speed motor allows for micro dots or lines of material. Reverse action prevents ooze.